The largest container ship ever to arrive at a North American port docked at the southern tip of Los Angeles, a sign of the rapid changes underway in the global shipping industry. The CMA CGM Benjamin Franklin, which arrived on December 26th at the Port of Los Angeles on a maiden voyage from China and South Korea, can carry nearly a third more cargo than the largest ships that currently call at the San Pedro Bay ports. The rapid increase in vessel size has posed challenges for ports around the world, which now must contend with enormous volumes of cargo arriving at once. The ports of Los Angeles and Long Beach, the nation’s two busiest seaports, have been among the first in the United States to deal with the advent of larger ships. Both ports are in the midst of hundreds of millions of dollars’ worth of projects to deepen channels and expand terminals to adapt to the changing world of shipping. In early 2015, ports along the West Coast faced huge delays due to a contract dispute between the members of the dockworkers’ union and their employers — terminal operators and shipping lines. The impasse led to a partial shutdown of 29 West Coast ports and enormous cargo backlogs. Despite the slow start to the year, cargo volume at both ports has picked up significantly. 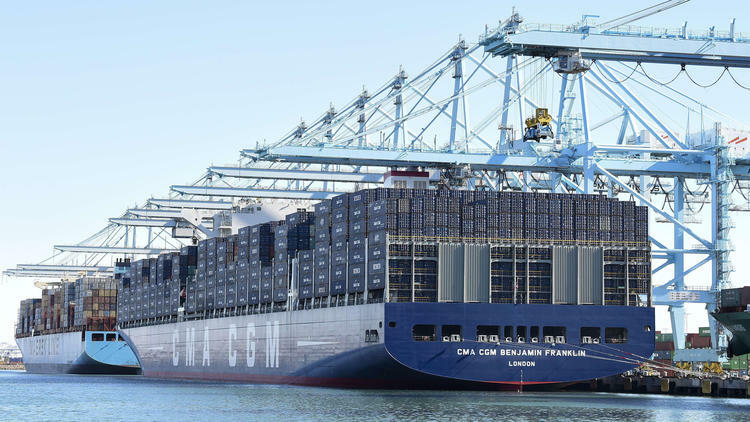 Jock O’Connell, an international trade economist, said the arrival of the CMA CGM Benjamin Franklin is a sign that at least one shipping line is satisfied with the West Coast ports’ ability to handle increased cargo loads. He said the San Pedro Bay ports are now moving cargo more efficiently and are better at handling larger ships than they had in the past. “It’s a vote of confidence in West Coast ports,” O’Connell said. 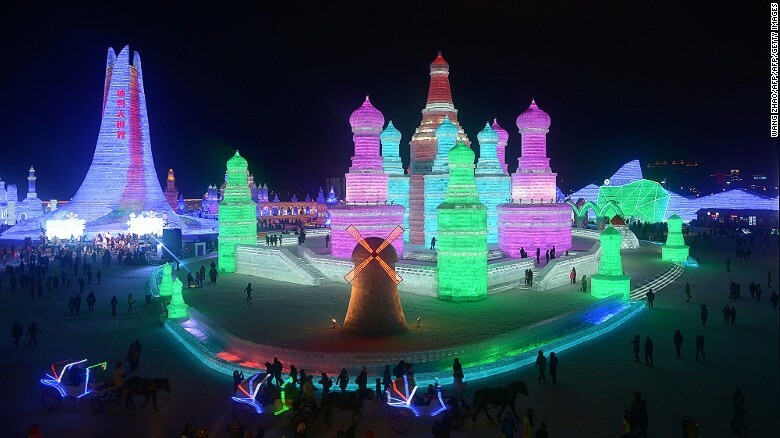 The ship was scheduled to depart the Port of Los Angeles on December 30 and head to Oakland, where it was to stop before heading back to Shanghai. A Massachusetts man’s dashboard camera captured the moment a large sheet of ice flew from the SUV in front of him, flipped through the air and destroyed his windshield. 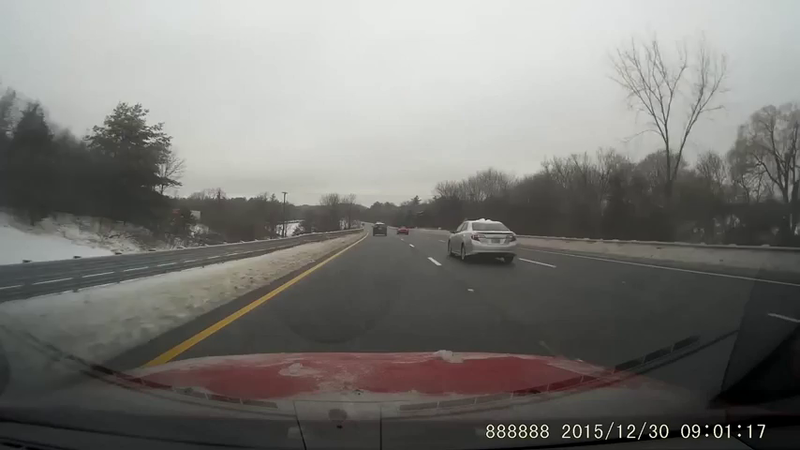 Jeffrey Cote, who posted the video to YouTube, said he was driving on southbound Interstate 495 in the Haverhill area when the sheet of ice flew off the top of the SUV driving in front of him. The video shows the ice sheet flip through the air, covering a large distance before crashing directly into Cote’s windshield. Cote said the shattered windshield covered him and the inside of the car with glass, but he was not injured. 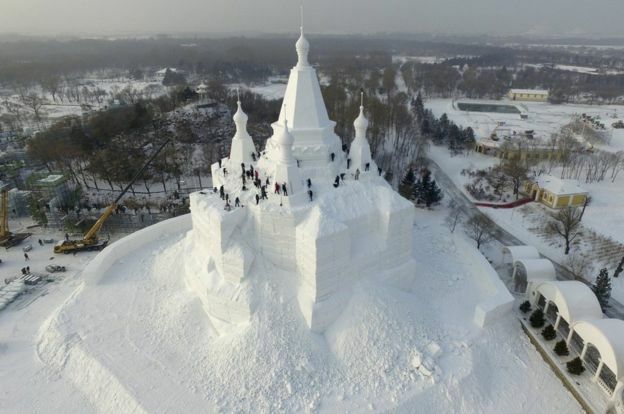 This large sculpture began to take shape in December as workers carved it out of the ice. From The Los Angeles Times, UPI and CNN.